Tru Appraisals was established by Robert Kibsey in 1986. Since then the company has been providing professional services to investors, lawyers, home owners, lenders and to a variety of other clients. 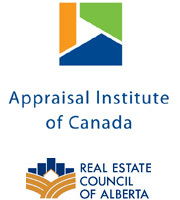 We are a leading full-service appraisal firm specializing in high quality residential, commercial and agricultural appraisals in the South Eastearn Alberta area. Our highly trained, experienced professional staff provides responsive and comprehensive appraisal service. We have earned a great local and regional reputation for reliable appraisal and real estate consulting work. We also have branches in both Brooks and Medicine Hat.